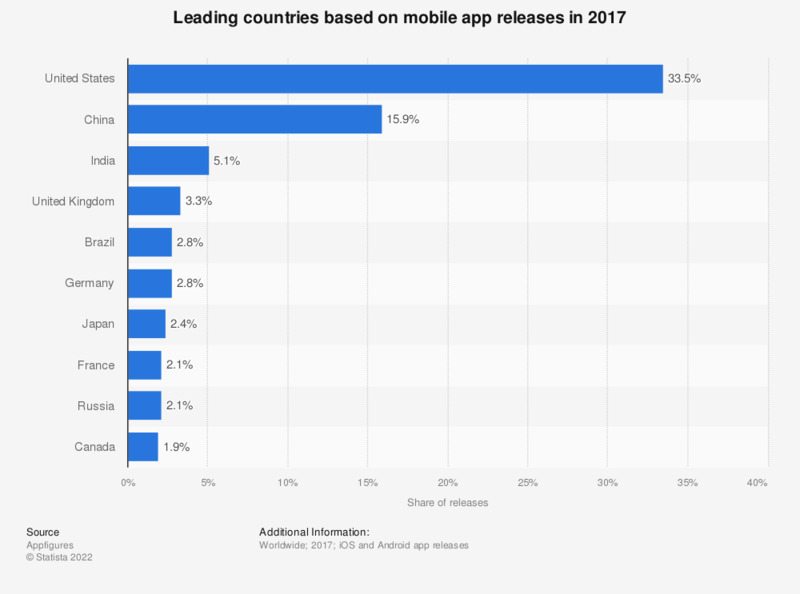 This statistic presents the countries that released the most apps in 2017. During the measured period, the United States accounted for 33.5 percent of all app releases in the combined iOS and Android market. Coming in second was China, which had a release share of 15.9 percent.